I have first met ‘HIR 3’ quite a long time ago, it was in 1992 when I was only 14 years old. I have first met ‘HIR 3’ quite a long time ago, it was in 1992 when I was only 14 years old. I sailed only once before in my life one year earlier thanks to my sister and her good friend Miro Muhek who knew Mladen Šutej and has been sailing with him. They asked me if I would go sailing for ten days on board ‘HIR 3’… and my answer was of course – YES! The most memorable part of the trip was sailing from Rovinj to Venice. I remember we had perfect weather and all we had to do is set the sails and let the autopilot do the rest. When we entered the marked passages in front of Venice and we didn’t use the engine, but we did hunderds of tacks between thousands of boats until the wind died in the evening near the marina. Next time I saw her was in 2006 (I think?) 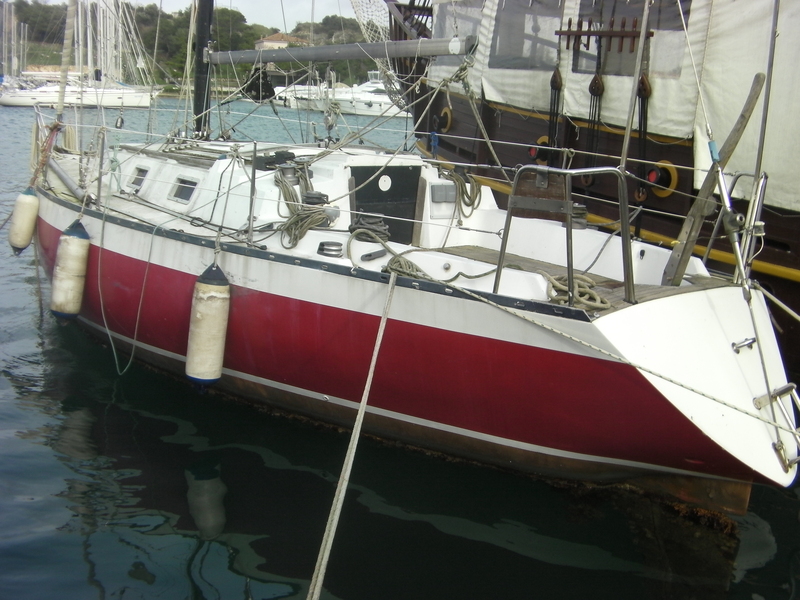 in port of Vrsar after she was sold to a new owner. I haven’t been there for a log time after that and I forgot all about it, but when I came to Vrsar in November 2013, I remembered her and went to see if she was still there. She was… but she looked miserable. It looked like she was abandoned. Completely covered in seaweed and seashells under the waterline, dirty hull and deck and rotten lines.